The office, crowded with work stations and considerable stress, is considered a space apart from food, despite the fact that food is at the center of office life. Busy teams work on projects over lunch, hold executive breakfast briefings, and bond over late-night pizza to wrap up critical projects. But for every catered meal that is needed, the workload of the harried office assistant increases. The task of planning weekly catering orders for meetings and events takes large amounts of work. Sometimes this can turn an office assistant’s day upside down. When planning recurring catering orders, find ways to streamline the process while choosing foods your team will love. 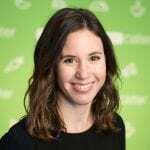 Ordering food may fall on top of your workload weekly, and the reality is that you don’t have days (or even hours) to spend on scheduling catering orders. Planning recurring catering orders can save you time, keep you on budget, and ensure terrific food is delivered to your office every week. 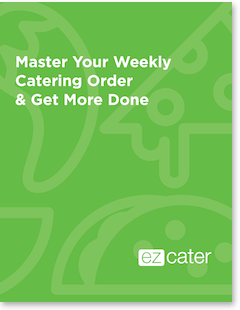 Here’s a guide to help you master your weekly catering order. There are also tips to simplify the process, save you time, and keep your workload under control. Need to crush your weekly catering order? Here’s your one-stop guide for recurring orders. Master your weekly catering order now.